There’s No Place Like.. Dai Nam | ADDIN | Another way for us to speak.. There’s No Place Like.. Dai Nam – ADDIN | Another way for us to speak..
#WeekendChillout. Some 40 km away from Ho Chi Minh City, lies one of the largest tourism complex in Vietnam, Dai Nam Park. 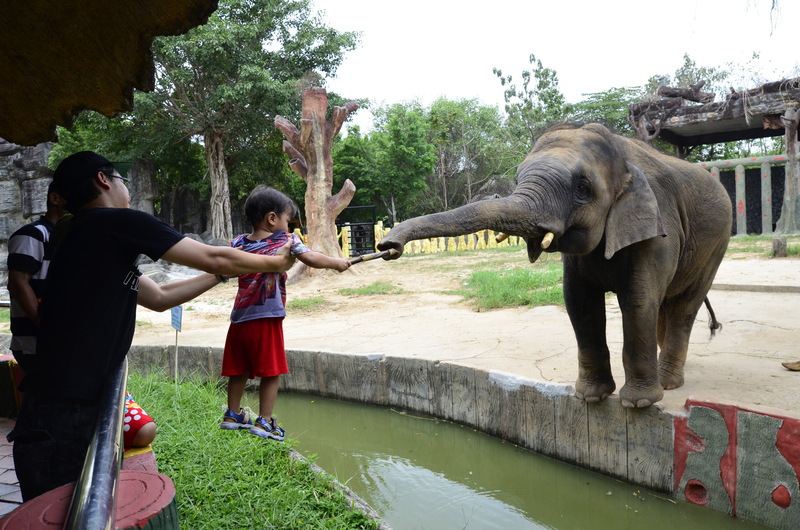 The unique mega park is inclusive of a complete zoo, amusement park, a man made beach and religious (buddhist) sanctuaries. My family & I enjoyed this place so much that we visited this place twice this year. 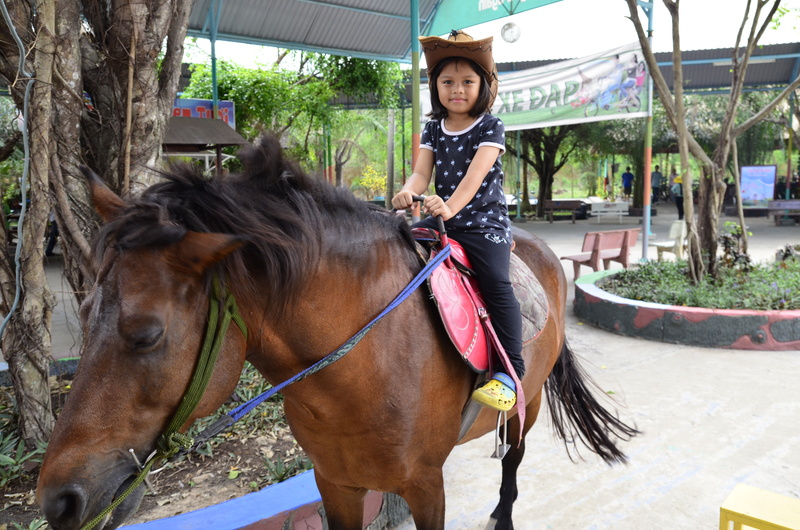 The place, like many other Vietnamese theme parks, is large yet calm and not crowded. It’s perfect for my family that doesn’t like to queue up nor press around for space. During our first visit, we covered most of the places in the complex; strolled the zoo, walked by the big temples, ventured around the amusement park & finally went for a swim at the artificial beach to close the day. 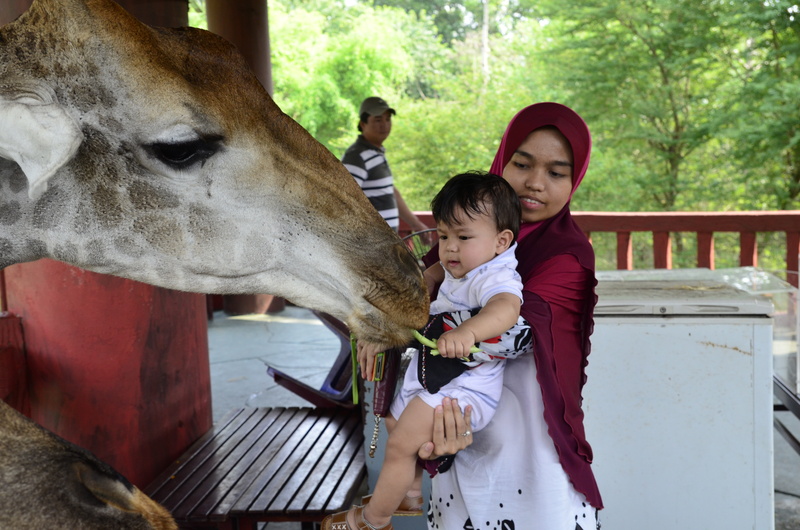 For our second visit, we spent the whole day only at the zoo & the beach, which are the 2 most interesting places, in my opinion. The Zoo is one of the most unique zoos I’ve ever visited. The animals you expect from a complete zoo are mostly there (except pandas) such as lions, tigers, elephants, zebra, giraffes, rhinos & hippos, reptiles & birds of all sorts. 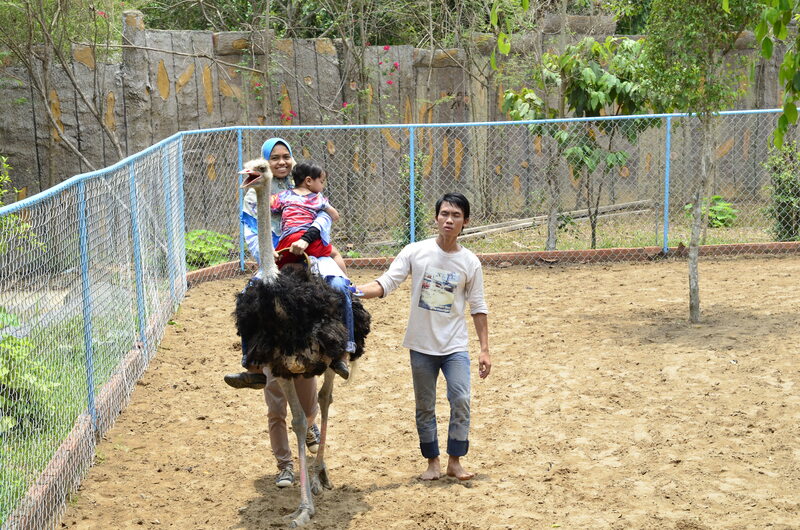 In addition, there are ostrich rides, horse rides, elephant feeding, giraffe feeding & an interesting animal show to make your visit memorable. Bicycles & Tandem bikes are also available for rent to cycle around the zoo. There are food stalls at strategic places around the zoo so you could always stop to grab a snack or drink. 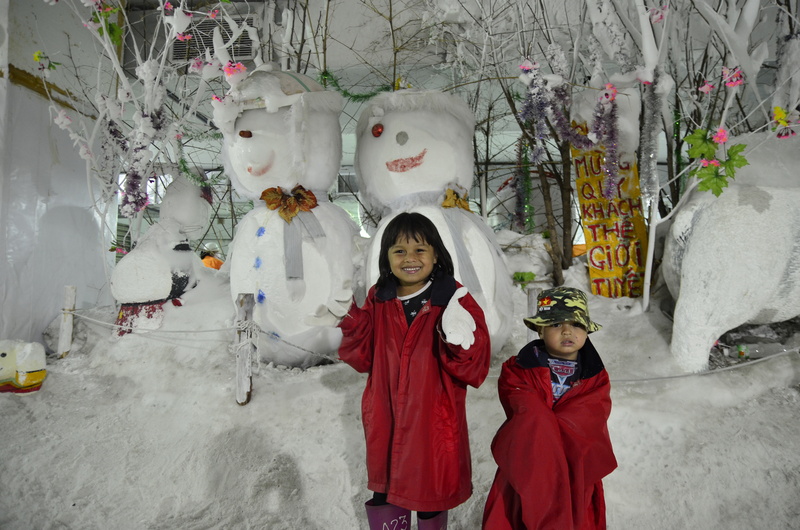 My family really enjoyed the visit & would always love to come again to relive the experience. 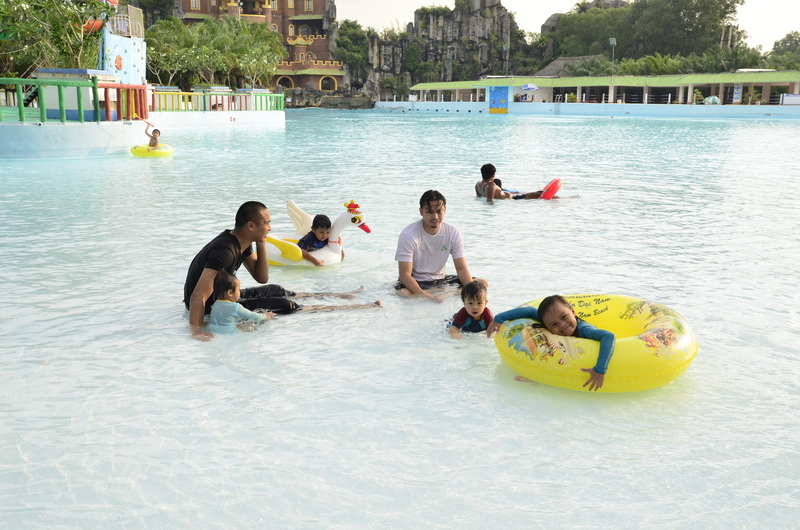 The water park is the largest artificial sea in South East Asia. It comprises of 2 sections; the salt water & fresh water. They would also create waves from time to time to simulate an actual beach. The closer to the source of the shock, the bigger the waves are. It was exciting to just ride the waves, while sitting on a float. Best time to visit is the evening when the sun isn’t too hot. In my opinion, a good site & concept like Dai Nam park needs more exposure to promote the park. With extensive marketing, it might just become a major attractions for international tourists to visit to experience something different in Vietnam.